The owner of a property recently featured in a recent NBC 5 Investigates story agreed to notify tenants of their options to vacate their rental units by October 1, 2013. 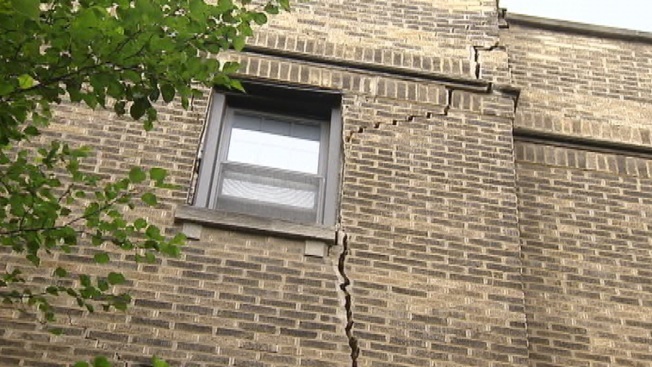 Building inspectors described the property at 2348 W. Addison in Chicago as "dangerous" and "hazardous" following inquiries by NBC 5 Investigates and a concerned tenant. There is a tall exterior crack on the building, damage to interior walls and floors, and the building is sinking, according to city inspectors. Seven occupied units are affected. Some of the tenants have already arranged to relocate to other available units within the building, according to the city. 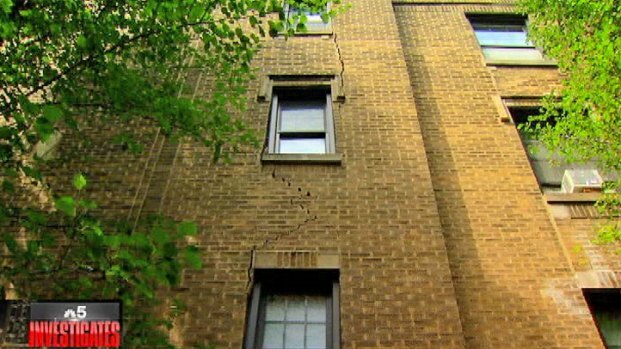 The three-story high exterior crack is directly above an entrance to the building, and those who live there fear injury from falling bricks. Chris Coffey reports. The owner, Addison Claremont, LLC, applied for a repair permit last May. It further agreed to erect a heavy duty canopy at 2348 W. Addison by Friday. An attorney representing the owner addressed the building violations in a municipal housing courtroom Wednesday afternoon. "I don't think that we feel that they're in imminent danger, but there is some risk in living in a building that has these problems and we want to be overly cautious, as does the city," said attorney Larry Chambers. Tenant Jim Druzik said it's the right thing to do. "I think whatever they have to do to get the job done and keep people safe," Druzik said. The property is due back in court on October 9. City code allows tenants in some instances to pay reduced rent while repairs are made to rental properties.